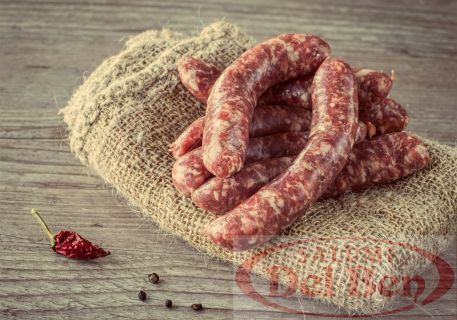 Ernesto Del Ben was born in a large family of peasant origin in Prata di Pordenone, a town in Friuli Venezia Giulia, he moved very young with his family in a farmhouse in Maniago. After the World War Ernesto, inspired by his passion for agricultural activity, decided to take up the profession of breeder with the help of his wife and their two sons. At beginning he breeds chickens and hens and then he changed to pigs breeding. 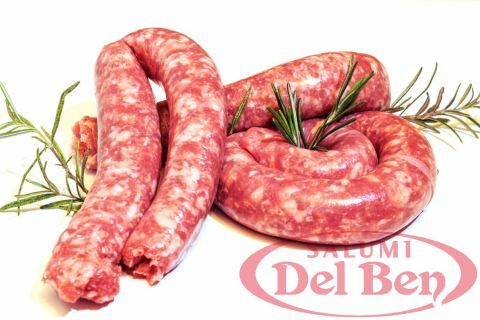 …Thanks to the Del Ben Ernesto’s commitment and passion for Salami, the homonymous cured pork meat industry is born, with the initial intent of enhancing the quality coming from the family’s pigs farm. 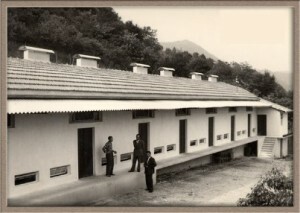 The Ernesto’s passion grown over the years has been passed on to the sons and nephews who still continue the production activity following typical and territorial recipes and methods, trying to meet the increasingly demands and refined taste of consumers in respect of the quality and genuineness of their products. 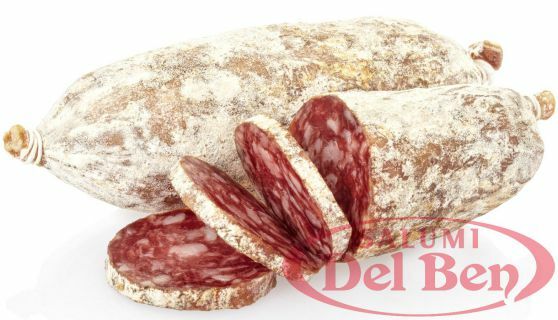 … Over the years the Salumificio Del Ben has grown, renewing itself but remaining faithful to its origins. 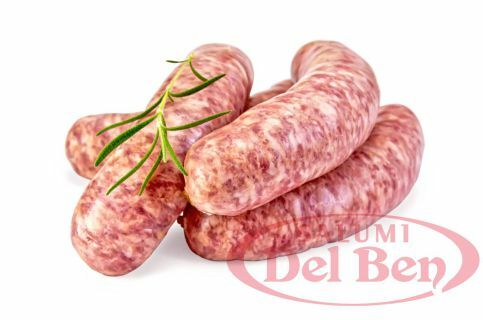 The nephews carry forward the ideal of his grandfather Ernesto, focusing on quality products obtained from a careful selection of all the ingredients, such as meat pork coming exclusively from ITALIAN breeding. 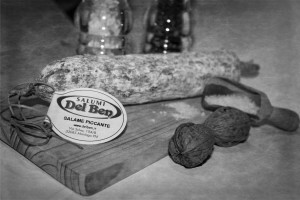 The Salami Del Ben express at best simple and genuine traditional recipes handed down from generation to generation, and nowadays using the most modern production machines. With the help of a traceability system of the agri-food chain, an efficient control of the entire production is applied, thus creating a product ID card. 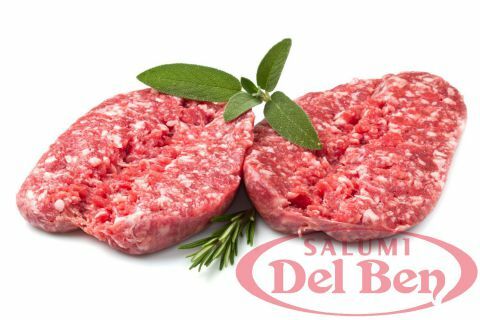 This allows the Del Ben family to obtain a high degree of food safety as well as excellent quality in respect of production traditions and expression of their love for own territory. The 3rd generation family pursues the continuous improvement in management and production choices, while remaining tied to the distinctive quality of craftsmanship. The establishment is adapted to the UE Community rules and has achieved the CE mark eligibility. 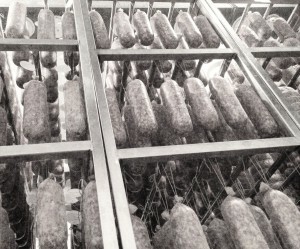 The Salumificio is operating in full compliance with current legislation, beyond a self-control plan (HACCP system), to ward at best the final consumers, and in order to further guarantee the quality of its products. All products are obtained from raw materials and ingredients GLUTEN FREE and LACTOSE FREE making them available to people affected by food intolerance.